*These are the proposed meal plans prices pending approval from the UW System Board of Regents. - Dawg Dollars are worth one dollar each and purchases are tax exempt. - $200 Dawg Dollars will be available for roll-over into Spring 2020 if the student has an active Residential Dining meal plan in Spring 2020. Dawg Dollars not spent at the end of Spring 2020 will be lost; there is no reimbursement of Dawg Dollars not used. Students can add an additional $50, $200, or $300 Dawg Dollar plan at any time. As outlined in the Residential Living/Dining Services contract at the University of Wisconsin - Stevens Point, all students residing on campus in a traditional residence hall are required to participate in the dining program. Suites residents who have graduated from high school in or before June 2017 are NOT required to purchase a meal plan; however, if Suites@201 eligibility is extended to those individuals who have graduated from high school in or before June 2018, those residents are required to contract for one of the on-campus dining plans. A dining contract is effective for one academic semester. If you would like to request an exemption, please submit a Dining Plan Exemption Request Form to Dining and Summer Conferences. For more information on residency requirements, please see the Residential Living page. Residents of above sophomore classification in the Suites @201 are exempt from this requirement unless otherwise notified. Off-Campus Meal Plans: Students living off campus can add a dining plan at the PointCard Office and filling out a contract.$200 Dawg Dollars will be available for roll-over into Spring 2020. Dawg Dollars not spent at the end of Spring 2020 will be lost; there is no reimbursement of Dawg Dollars not used. - $200 Dawg Dollars will be available for roll-over into Spring 2019 if the student has an active $1,472 meal plan in Spring 2019. Dawg Dollars not spent at the end of Spring 2019 will be lost; there is no reimbursement of Dawg Dollars not used. - The $1,472 Dawg Dollar plan has no administrative fees and gives the student $1,472 of purchasing power for food! Off-Campus Meal Plans: Students living off campus can add a dining plan at the PointCard Office and filling out a contract. $200 Dawg Dollars will be available for roll-over into Spring 2019. Dawg Dollars not spent at the end of Spring 2019 will be lost; there is no reimbursement of Dawg Dollars not used. In addition to the cost of food, plan fees cover operational expenses including: debt service, rent, utilities, wages & benefits, supplies, equipment, cleaning, maintenance, insurance and UW System overhead. For the 2017-18 academic year, operating expenses are $909 of the total plan cost. Dining is entirely self-supporting and does NOT receive any funding from the State and functions as a regular business enterprise. Each day is broken into four meal periods depending on location. Meal periods are breakfast, lunch, dinner, and late night. There is NO limit on how many meal swipes you can use per day, so manage your account accordingly. Unused meals do not roll over to the following semester, so it is important to determine which plan fits your academic schedule, extracurricular activities, and weekend travel plans. You can check your meal balance at any DSC register, in the PointCard Office (715-346-2012) or online by logging into your account on the PointCard Office website. $100 Dawg Dollars are attached each Block plan and provide the freedom to purchase any item at DSC retail dining locations. Dawg Dollars are worth one dollar each and purchases are tax exempt. Dawg Dollars may roll over from the fall to the spring semester as long as a new dining plan contract is signed and remains active for the entire semester. All Dawg Dollars must be used by the end of the spring semester and do not carry over. PointCash is accepted at all dining locations, along with several other areas on campus and a number of restaurants off campus. Visit the PointCard Office for a complete list. For more information about dining plans, please contact the PointCard Office at (715-346-2012) or the Dining and Summer Conferences Office at (715-346-3434). Students in traditional Residence Halls may change their meal plans before the semester begins. For Fall Semester - changes can be until 3:00 PM the Tuesday prior to the beginning of the fall semester. You may stop in the PointCard Office and complete a Meal Plan Change Form or send us an email from your UWSP account indicating the change you wish to make. For Spring Semester - changes can be until 3:00 PM the Thursday prior to the beginning of the spring semester. The easiest way to accomplish this is to log on at https://mypoint.uwsp.edu/hms/hms001/default.aspx and make the change yourself. Otherwise you follow the procedure above. Changes are not permitted during the first week of the semester, but changes can be made during the second and third weeks of each semester. This is accomplished by visiting the PointCard Office (340 DUC) to have us process your request. Please be aware that your tuition bill may be increased or decreased depending upon the meal plan change and number of meals/Dawg$ used prior to the change. 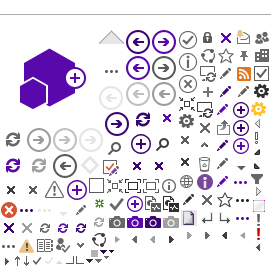 If you do not select a plan you will automatically be assigned the 200 Block Plan. If you have questions regarding this process please contact the PointCard Office at 715-346-2012 or email us at pco@uwsp.edu. 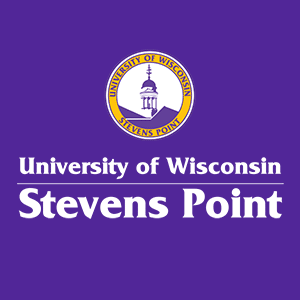 All students residing on campus in a traditional hall are required to participate in the dining program for the entire academic year as outlined in the Residential Living/Dining Services contract at the University of Wisconsin - Stevens Point. A dining contract is effective for one academic semester. Residents of Hyer Hall and the Suites @201 are exempt from this requirement unless otherwise notified. Off-Campus Meal Plans: Students living off campus can add a dining plan at the PointCard Office and filling out a contract. $50 Dawg Dollars will be available for roll-over into Spring 2019. Dawg Dollars not spent at the end of Spring 2019 will be lost; there is no reimbursement of Dawg Dollars not used. Meals are swipes are used at Upper DeBot's all-you-care-to-eat Residential Dining Hall. One swipe gets you access to the mainline, Italian side, Grille side, Deli Bar, Salad Bar, Fruit and Yogurt Bar, Desserts, Beverages and more. Swipe Trades provide for a cash value of $5.00 at any DSC retail location. If your purchase exceeds $5.00, the balance can be paid with cash, credit card, Dawg Dollars, PointCash, or an additional swipe trade. *Please note there is no cash refund for the difference if the item costs less than $5.00 while using a swipe trade. You may add on 5 meals to any plan for $35.50. To check how many meals you should have throughout the semester and stay on track, use this Ideal Balance for Meals sheet as a reference. Dawg Dollars are worth one dollar each and purchase are tax exempt. A maximum of $200 Dawg Dollars may roll over from the fall to spring semester as long as a new dining plan contract is signed and remains active for the entire semester. All Dawg Dollars must be used by the end of the spring semester and DO NOT carry over. For Spring Semester - changes can be until 3:00 PM the Friday prior to the beginning of the spring semester. The easiest way to accomplish this is to log on at https://mypoint.uwsp.edu/hms/hms001/default.aspx and make the change yourself. Otherwise you follow the procedure above.